Lighthouse Research Principal Analyst Ben Eubanks hammered home the importance of culturally embedded diversity and inclusion practices. According to Deloitte, employees that rated their employers highly for both diversity and inclusion were 80 percent more likely to say their organization was high performing. Corporate boards with three or more women have 50 percent higher return on equity, and 40 percent higher return on sales. 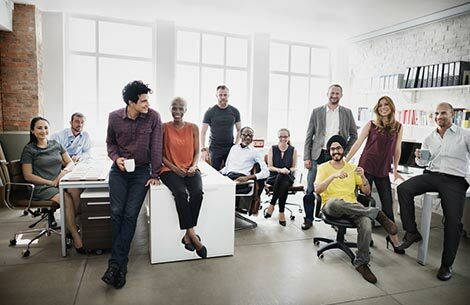 McKinsey research found that inclusive workforces have 57 percent greater collaboration, 42 percent greater team commitment, 19 percent greater intent to stay, and 12 percent greater discretionary effort. Furthermore, companies in the top quartile for racial and ethnic diversity are 35 percent more likely to perform about average. Diverse candidates come into organizations because someone has purposefully gone out and found them. Pinterest, for instance, increased engineering hires from underrepresented groups from one to nine percent. Referrals must be targeted and intentional, and we must ensure that when we are hiring for “cultural fit” we are screening for traits like honesty, work ethic, and commitment (which have nothing to do with race, religion, gender, etc.). In order to ensure pipeline diversity, mentorship has to be strategic and supported at the highest levels of the organization. For example, at Proctor & Gamble, 10 percent of executive compensation is tied to diversity goals, and every executive must sponsor an employee resource group, serve as a cross-cultural mentor, and raise the number of diverse hires and promotions in their department.